some of the blueberries I brought home Sunday. 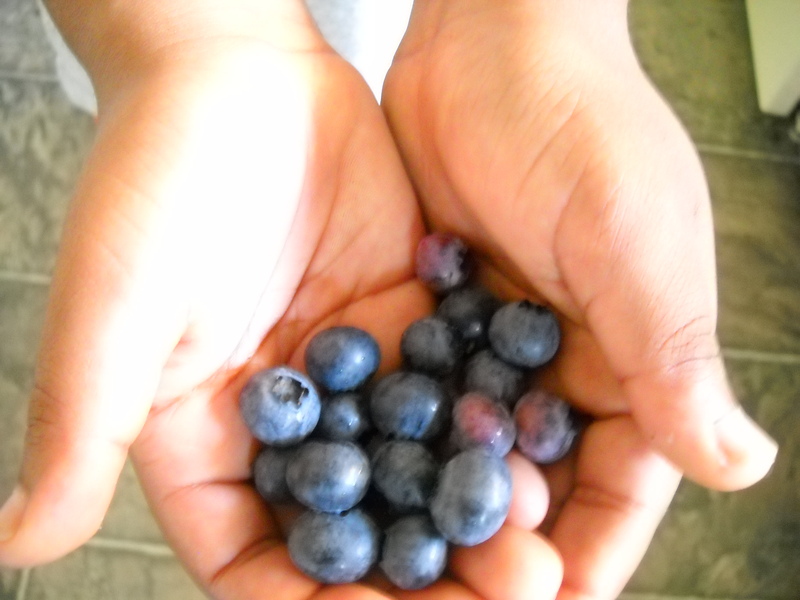 Blueberries the size of grapes and all deep midnight blue. were plucked from the glossy confines of a magazine. Let’s make this week’s aim to offer our true colors to the Father this week. Present Him the ripe and not quite ripe dreams possessed in your heart. Show Him the real you with all the shades it possesses and lacks. The truth is that even purplish berries continue to ripen days after they are picked. Whatever your condition, you have been picked.